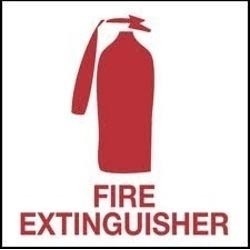 We offeredfeature quality construction finish and perfectly match up with the warning and indicative needs of companies, industries and other places where fire extinguishers are used. Made available in fluorescent finish with support of wall adhesive, thee can be offered in different thicknesses using luminous PVC sheet as well as acrylic/aluminum board which makes the signs more visually seen. Some of its features include choice of different sizes and design, use of superior screen-printing craft for flawless finish, suitability for use in both indoor and outdoor areas, provide for low cost usage, suitable for use in areas like exit routes, security exits, evacuation exits and others. We, Motif Graphics Pvt Ltd. are one of the leading manufacturer, supplier of Graphic and Signages and services providers of an extensive range of Printing and Graphic Services. Our service range comprises Classic Signages, Frame and Canvas, Graphic Print Solutions, Laser Cutting, Commercial Signage, Acrylic Signages, Residential Frames, Hotel Frames, Wall Graphics, Shutter Graphics, Glass Graphics, Ceiling Graphics, Copper Laser Cuttings, Aluminium Laser Cuttings, Acrylic Laser Cutting, Ply Laser Cutting, Brass Laser Cutting, LED Signages and Vehicle Graphics. The services provided by Motif Graphics Pvt Ltd. have been appreciated for their reliability, cost-effectiveness, prompt and timely execution. Our services are executed in accordance to the latest innovations and technologies. We ensure to follow all the industrial norms and regulation while providing the services. Our services are in high demand and are executed by our efficient and hard working team. This team works with complete dedication and ensures to achieve maximum client satisfaction. We have successfully spread our business across the nation and have built a long term business relationship with our client's. We also offer Waterjet Cutting Services. We are basically looking for queries from Domestic Markets.